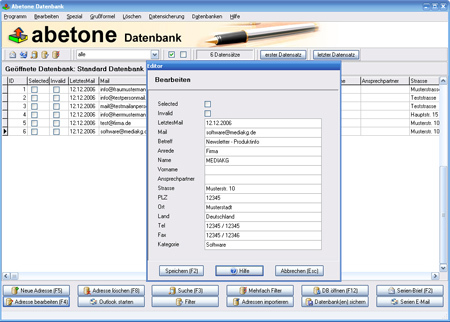 DataTron is an easy-to-use visual data base with the possibility of the integration of pictures and rtf files. 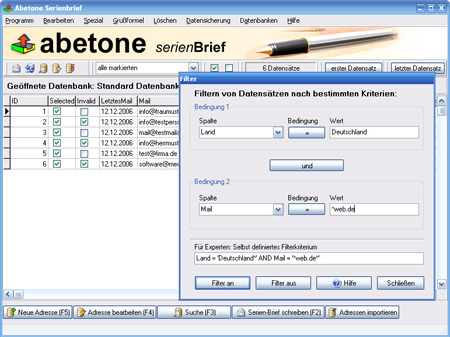 Data fields can be positioned by the mouse. Data base knowledge ist not necessary, the user has no long training periods. Quick Number Base Converter is a small utility application that sits in the windows system tray. When you need to converter between decimal, hex, binary, etc -- just click the icon and the converter pops up. This software is freeware. With GERBING fotoalbum 14 you can look selectively for fotos or videos in a data base in which you have stored keywords and location. After the search in the data base you can display the found fotos or videos.